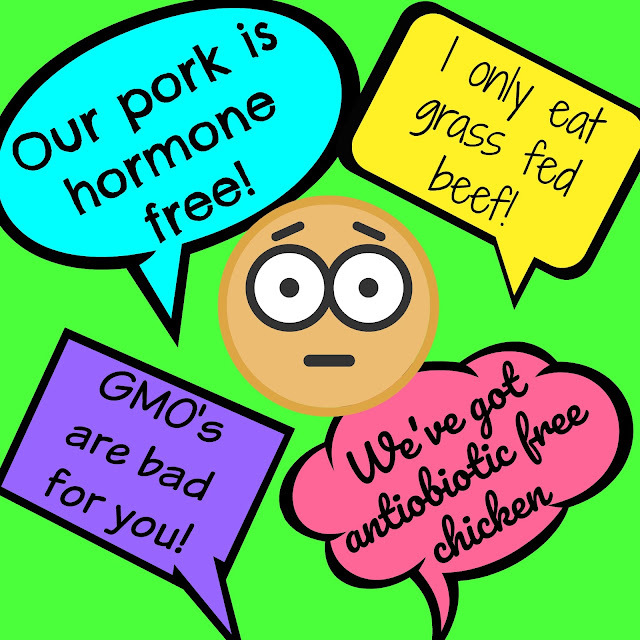 Understanding Farming & Food Labels | The Food Hussy! 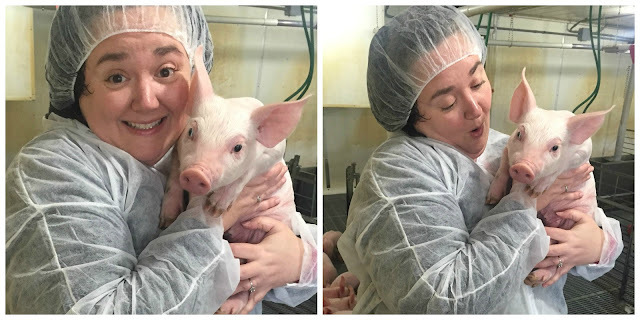 If you're a frequent reader of the blog - you know that I do some work with the Ohio Pork Council. In previous years, I've also worked with Certified Angus Beef and even Monsanto. My blog has given me the opportunity to meet with people of all walks of life and find out more about the food we all eat every day and I really appreciate that. Every time I meet with a farmer - I learn new things. In 2014, I went to a farm day outing sponsored by Monsanto - I heard horrible horrible things about Monsanto ahead of time. Friends were shocked I would even go! I read up on a few of the stories but - after my visit - I found out that Monsanto isn't the devil! Do they have things they need to work on? Sure - don't we all. But I talked to Leah Beyer and her husband - they were the farmers that hosted our visit. They purchase Monsanto seed for the crops that they grow and they've had a great relationship with them over the years. Some people don't want to eat animals that have been fed grains - because some grains have been genetically modified. Okay - I get that. But I also know that there is a lot of science and testing behind the grains that are going into animal feed. I met with the Beyer family and we discussed it and they are comfortable with the product they grow and whats in them. In the end, I want to eat steak that has more flavor and if that comes from being grain fed at the end of their growth - then I'm okay with that. These are decisions that each person needs to make for themselves - but it feels good to know a little more about the process to be better informed when making the decision. I don't claim to know everything - trust me - I haven't even scratched the surface - but I'm learning and I want to share some of this with you. Honestly, I don't remember the restaurant that had this booth. I do remember that they were a fairly new place. (I truly can't remember which place it was.) The chef handing out the sample told us their bite was pork and I mentioned that I work with Ohio Pork. He said their pork is farm raised and I asked where the farm was in Ohio - he didn't know. He didn't even know if the farm was in Ohio. We ate our bite of pork and went on our merry way home. What I found interesting about the situation was that here was someone representing this establishment that was priding themselves on having "antiobiotic and hormone free" pork. But yet when push came to shove - the Chef really didn't know the meaning of that statement. Now I'm not faulting him - or even the establishment. It happens - I know I say far dumber things on a daily basis. I see this as an opportunity! Let's get to know our food better. Chefs - get out there and meet with farmers! If you're an organic chef that only eats/works with grass fed beef or "hormone-free" pork - go and talk to a farmer that raises grain-fed beef or that raises hogs for a living. Find out more of the story! You might gain new perspectives on the industry that you can share with others. I hope this is a little thought-provoking and has you rethinking the next label you read. Find out a little more about what it actually means. We don't all need to be food scientists - but every little bit helps!